After the well-deserved hype of last week’s game of the season so far, between the Chiefs and the Rams, there were the traditional Thanksgiving Day match ups. Perennial turkey day teams the Detroit Lions and the Dallas Cowboys both had mixed fortune’s whilst the last fixture of the day saw the New Orleans march on as one of the Superbowl favourites. The Steeler’s started the season with a tie and two losses in their first four games however since then are unbeaten. All the controversy in regards to star running back Le’veon Bell holding out has disappeared (now he’s decided not to front up at all this season) and they have unearthed a new star in James Conner in the same position. Head Coach Mike Tomlin is known for his discipline and he certainly has ironed out any initial team wrinkles. This AFC South match up features another team that have been quietly putting together an under the radar run. The Houston Texans top the AFC South with a 7-3 record. (The same record as the Patriots FYI) and have been winning games tough. Things were looking bleak after an opening 0-3 start to the season however they have since won 7 straight winning their last two by two games by 2 points. 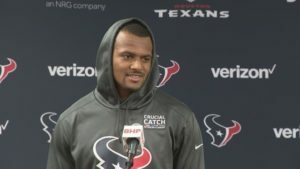 Quarterback DeShaun Watson looks back to his best after a mid-season injury last year wrecked his rookie season. 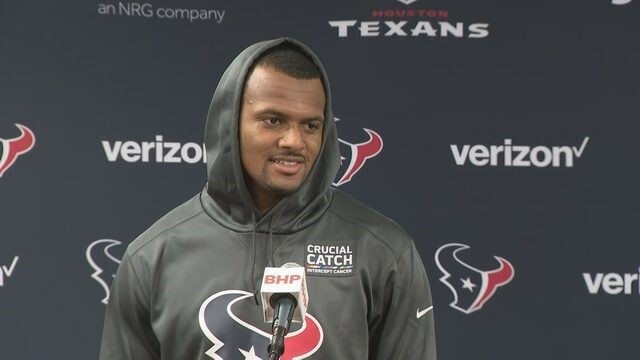 Dynamic on both the pass and run game Watson has made the Texans a different prospect from the last few seasons.